I saw the original black and white series. This is essentially where Roger Moore started his career and made a name for himself. While anybody would see this as a James Bond knockoff (Roger Moore went on to play James Bond), you have to note that the character in print dates all the way back to 1928. I enjoyed the books, an amusing literary divertissement, which were one of a number of "pulp novels" of detective, spy, or mystery series of the era. Despite their age, they can still provide you with a page turner on a long flight or a week at the cottage. The Saint was an ITC mystery spy thriller television series that aired in the UK on ITV between 1962 and 1969. It was based on the literary character Simon Templar, a suave and sophisticated Robin Hood-like adventurer and thief created by Leslie Charteris in the 1920s and featured in many novels and novellas over the years. He was played by Roger Moore. Leslie Charteris (1907–1993), born Leslie Charles Bowyer-Yin, was a British-American author of adventure fiction, as well as a screenwriter. 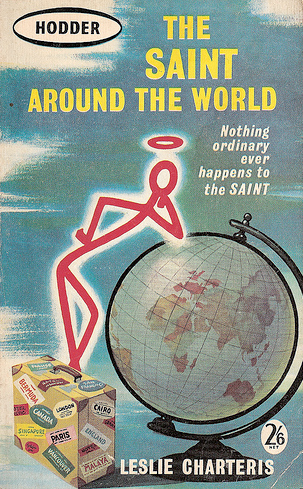 He was best known for his many books chronicling the adventures of Simon Templar, alias "The Saint." Documentary about composer Edwin Astley.Jools Holland interviews Jon Astley,Hazel Astley,Virginia Astley,Pete Townshend. The Saint is a 1997 espionage thriller film, starring Val Kilmer in the title role, with Elisabeth Shue and Rade Šerbedžija, directed by Phillip Noyce and written by Jonathan Hensleigh and Wesley Strick. The title character is a high tech thief and master of disguise, that becomes the anti-hero while using the moniker of various saints while paradoxically living in the underworld of international industrial theft. The film has a cult following and was a financial success with a worldwide box office of $169.4 million, rentals of $28.2 million, and continuous DVD sales. 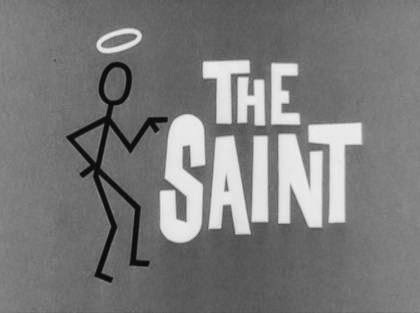 It is loosely based on the character of Simon Templar created by Leslie Charteris in 1928 for a series of books published as "The Saint", which ran until 1983. The Saint character has also featured in a series of Hollywood movies made between 1938 and 1954, a 1940s radio series starring Vincent Price (and others) as Templar, a popular British television series of the 1960s which starred Roger Moore, and a 1970s series starring Ian Ogilvy.